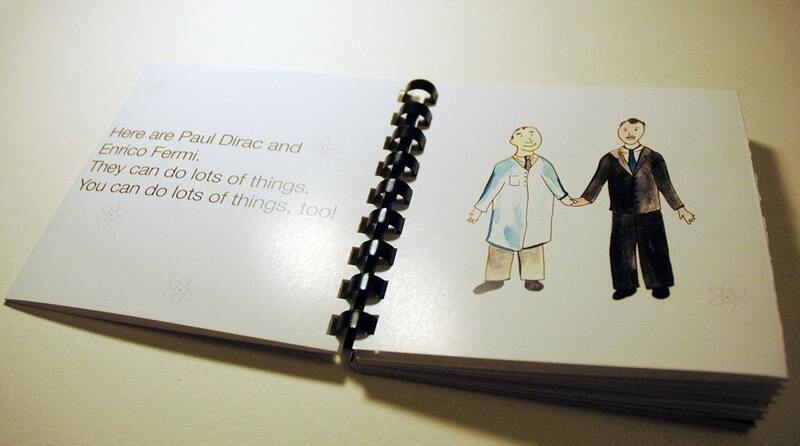 Here are Paul Dirac and Enrico Fermi. They can do lots of things! How can I jump start my toddler’s career as a theoretical physicist?, I get asked often. I knew only one way how to answer, a way following the Talmudic tradition, answering with another question: Why?. But, finally, the resource everyone has been looking for is available for sale, online. This is the perfect gift for the nerdy babies in your life. With seven colorfully illustrated activities that will delight any infant who is interested in exploring theoretical physics. To quote my favorite hate group: Jewish physicist (how stereotypical).